Are you visiting Sandals Whitehouse European Village & Spa on your vacation to Jamaica? Guess what? We have a treat for you; SWH is a hidden gem on the south coast Jamaica, one of the most spectacular properties of the Sandals Chain. Let me introduce you to Sandals Whitehouse Helicopter Transfer from Montego Bay Airport, first here are some things you need to know about Sandals Whitehouse. 1) Ground transportation: Sandals Whitehouse provides FREE ground transportation from the Montego Bay airport with your booking or you can choose to hire a private transfer from an independent company that offers transportation from Montego Bay Airport to Sandals Whitehouse. The normal driving time from the airport is 1 hour and 30 minutes. 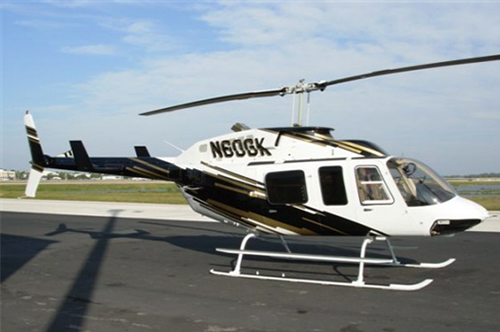 2) Helicopter Flights: This is the most exciting means of reaching the hotel, helicopter flights only take 20 minutes from the Montego Bay airport to Sandals Whitehouse, 20 minutes of pure fun and adventure, this is an experience within itself (More like a transfer, aerial sightseeing and a once in a lifetime experience). Flights originate from the airport (Domestic Terminal) and land directly on the hotel lawn. That is what you call door-to-door luxury service. One of the beauties of flying it that is saves you quality time, more time on the beach and later check out. Flights are available daily and it is quick and easy to book your flight. Flights can be easily arranged with Jamaica Customised Vacation and Tours by visiting http://jcvtt.com or send and e-mail to info@jcvtt.com. 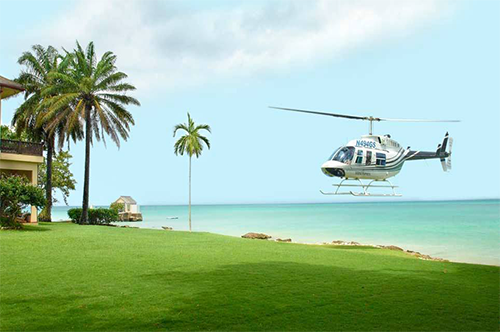 Don’t wait to book your Sandals Whitehouse Helicopter Transfer from Montego Bay Airport. Great information that will allow visitors to make an informed decision, like the detailed work. Great tips on how to plan a great vacation when visiting Jamaica, very detailed, wonderful and informative article, well researched, definitely will be checking out the helicopter flights to Sandals Whitehouse.